Learning from our mistakes is the only way to make sure we don't make the same ones twice. But what if you could use every failure--large and small--to actually create a successful business, career, and life? By embracing failure, not just "getting past it," you will fly past your competition, whether you're building a startup, advancing in your career, or improving your personal life. The most underrated tool for success is failure. 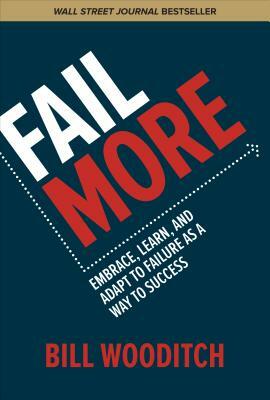 Now, you have a pragmatic program for turning failure today into profits and growth tomorrow. Bill Wooditch is the founder and CEO of The Wooditch Group, a risk-management and corporate insurance firm with annual sales of $100 million. He works with Fortune 500 companies like AIG, Old Republic, Zurich, and Bank of America to improve their sales and leadership.